Humans have always used art to express themselves to future generations. The desire to speak beyond one’s self and leave a mark runs deep in the soul. Collectively, we wish to shed light on the beauty of our day, warn of the dangers and provide direction for those who come after us. 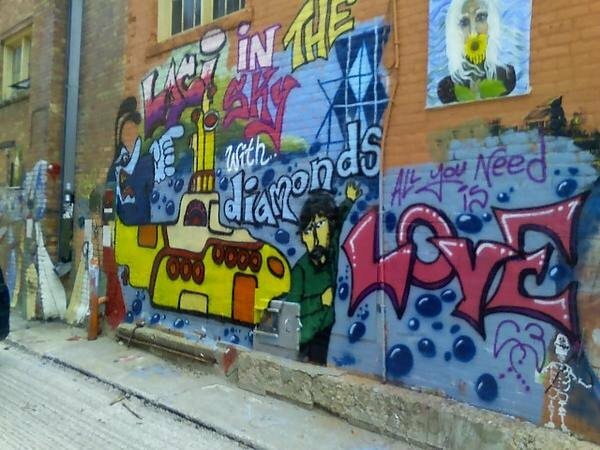 The area known as Founder’s Rock, just a short distance northwest of Art Alley, bears inscriptions made by some of the first people to create “Rapid City” alongside petroglyphs left by people who had called this place home for thousands of years before that. Many of the buildings downtown have initials, dates and other inscriptions scratched into the soft brick, dating back to the years they were built. 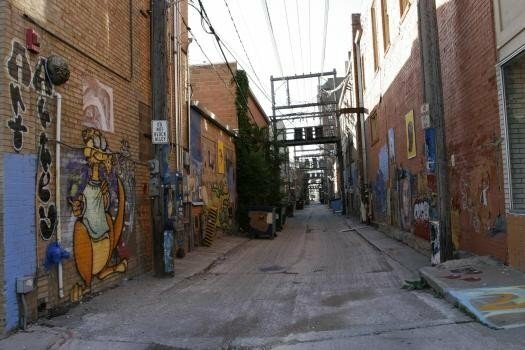 From those humble beginnings, a small group of people, and a great deal of communication and cooperation between all of them, the Alley has flourished and grown to become more than just a canvas for art. It has become a social movement in our community where everyone is free to express themselves and work to spread the messages of our day to each other, and for those who will come after us. Please join us and be a part of the Alley's history.